Read Viemeister graduated from Pratt Institute in 1943 along with Budd Steinhilber, FIDSA. Both started work with Dohner & Lippincott in New York, with Read becoming its director of design. One of their first projects was the creation of the original ID Magazine concept, which was then an insert about industrial design in Interiors magazine. Viemeister married Beverly Lipsett in 1946, moved to Yellow Springs, Ohio and founded Vie Design Studios in a converted chicken coop. Budd Steinhilber became his partner in 1949. Both were on the team assembled by Preston Tucker that designed the ill-fated Tucker automobile. In 1949, they worked together to establish a Department of Industrial Design at the Dayton Art Institute, where they both taught and lectured, with Read as the department head. When Budd left for San Francisco in 1964, Read maintained Vie Design with the help of Frank Burrer and others until the 1990s. An active member of IDI, SID, and ASID, Viemeister was a founding member in 1965 of the Industrial Designers Society of America (IDSA) and, in 1974, was inducted as a Fellow of the Society. 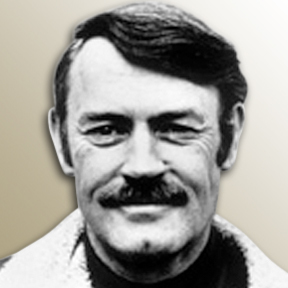 He served for many years as a national officer of IDSA. Creating designs for print media, packaging, products and architecture, Vie Design Studios earned regional and national recognition for its work for such companies and organizations as NCR, GE, Standard Register, Mead, Huffy, LeBlond, and many others. He designed Yellow Springs landmarks such as the Glen Helen Building, Trailside Museum and many homes. The studio designed many corporate identities including the classic circle/square/triangle Antioch College logo. Like much of his work, the logo designed for Dap caulking products 40 years ago is still used today. The achievement which gave Viemeister the most satisfaction was the prize-winning "First Flight" computerized mosaic mural which dominated the original lobby of the Convention Center in Dayton, Ohio, birthplace of Wilbur and Orville Wright. Crafted in Casalbuttano, Italy, in the early 1970s, the 20-by-60 foot digitized image was composed of 163,296 one-inch-square ceramic tiles, each a tiny aviation-related picture on its own. He also contributed tirelessly to the community in which he lived, serving on the Yellow Springs Planning Commission, the Beautification Committee, the board of the Yellow Springs Community Foundation, and donating design services to a number of local businesses and organizations. In 1991, Viemeister retired as president of Vie Design Studios, turning the position over to his daughter Heidi. His son, Tucker Viemeister, also a member and Fellow of IDSA, is President of Springtime-usa in New York City.